Stamford, CT – July 16, 2018 - We are excited to announce that our headquarters is moving to a new location in Stamford, Connecticut. We’ve spent the previous three years in New Haven, Connecticut - our old office served us well, and we’ve made a lot of progress and also made great memories there, but we are more than thrilled about our new space as we move to our new headquarters in Stamford at WorkPoint. This is Phase One of our expansion with phase two establishing an office in Miami, Florida and Reykjavik, Iceland upon the completion of our upcoming financing through a $15 Million Private Placement for Accredited Investors which funds the Company’s expansion, working capital for productions and more says Aspen Powers, CEO and Founder. The new office is actually located in the Shippan Landing business park area on the waterfront in Stamford, which is just minutes away from the Stamford Union Train Station and the Stamford Mall. We're excited about the hustle and bustle happening around us with many other great companies in our new neighborhood. We are gearing up for production of our current television series entitled Travelpolitans and really need the space for current and new employees. Space. The new office offers more square footage, but more importantly it has more conference rooms and event space which features a deck and water views. The space also includes two multipurpose rooms in an adjacent building that each hold up to 96 people and can be utilized for our private screenings (as research for our television shows), conferences or seminars. Production. We now have access to a state-of-the-art 1000 square foot multi-camera HD studio to create content for a variety of needs and is also perfect for photo shoots and special effects. The control room is equipped with a Tricaster switcher that includes the Skype package and virtual sets, and full two-way hybrid audio with a 32 channel mixer. Kino Flo lighting, audio and lighting boards round out the facility. Our production clients will also benefit from full global connectivity via LTN, internet or satellite on our site. Amenities. What a difference a space makes. Our last office was within immediate walking distance of Yale University, Yale Hospital, many restaurants, three hotels and coffeeshops. The new headquarters has a full kitchen, gym access, walking trails and much more. This space allows us to continue creating and delivering dynamic content that garners attention and drives action. Starting August 3rd, 2018, our new address is Shippan Landing, WorkPoint, 290 Harbor Drive, Stamford, CT 06902. Vargo Media is an integrated new media entertainment and technology company, principally engaged in developing, financing, marketing, producing and licensing the sale of lifestyle-orientated content providing primarily travel, home, food, music and other lifestyle-related programming for global audiences. Travelpolitans TV DIRECTOR DAVID ROUSSEAU BEGINs PRODUCTION ON A LANDMARK TRAVEL DOCU-SERIES. February 21, 2018, MIAMI, FLORIDA - Director David Rousseau of CreativeSeen and Show-runner of Vargo Media Aspen Powers begin production on an original unscripted television travel docu-series titled Travelpolitans, with 13 episodes with a runtime of sixty minutes. Both production companies remain tight-lipped about the celebrity cameo appearances, its distribution to a TV broadcast network, air dates in international territories. Travelpolitans, is being filmed in multiple cities such as New Haven, Connecticut; Miami, Florida; New York City, and in the countries of Iceland, Finland, Norway, Sweden and Denmark) which chronicles the excursions of an American travel blogger turned travelpreneur (i.e. tour operator) named Aspen Powers. As a rookie tour guide, Powers takes a travel group with him from America to Iceland, Finland, Norway, Sweden and Denmark to dispel the Great American Passport Myth and to have awe inspiring cultural experiences in amazing places. What’s The Great American Passport Myth? According to the U.S. Department of State 64% of Americans do not have passports. Aspen Powers has started a personal crusade to be an influencer of change and agrees with a quote from Mark Twain which is “Travel is fatal to prejudice, bigotry, and narrow-mindedness, and many of our people need it sorely on these accounts. Broad, wholesome, charitable views of men and things cannot be acquired by vegetating in one little corner of the earth all one's lifetime.” Filming begins in March of 2018 and at the beginning of April for Scandinavia. What are Travelpolitans? They are group of people that travel frequently and feel comfortable and at ease in many different places and cultures. “This new travel docuseries serves as an educator of destination inspiration for people to travel to curate unique travel experiences that are sometimes not found in brochures, see historically epic places, immerse themselves in different cultures, make unexpected friends and lovers, and to live like a local” says Aspen Powers who serves as the Host, Executive Producer and Creator. It’s through the host narrative that the audience gets a look into the lives of real people who embark on a journey to become a professional tourist. From the beginning of each cast members journey, the audience gets watch just how they all handle being in foreign countries in different situations and then apply all things learned (both good or bad) to our own lives. With technology our world has gotten smaller, but our ability to interact with others face to face has suffered greatly. This show challenges young adults to put down their smart phones and experience real life outside of social media says David Rousseau, Director. Travelpolitans has timeless issues that viewers can relate to that are very realistic and this is what makes it such a great show. Traveling is something that many people would like to do, however, very few actually do travel. Travelpolitans is a world that most people are unfamiliar with and this television series gives viewers unprecedented access to life as wanna-be professional tourists, which makes it feel dynamic, easy and fast-paced and also pushes relational and cultural conversations that allow them to explore the “fish out of water” themes shared by our cast. From the change of the cast home locations to uncharted foreign lands that bring out the worst and the best of them as they seek to become a Travelpolitan. The audience will constantly discover something new in this series, including enriched cameo appearances throughout the season by political figures, athletes, music artists, celebrities, travel industry influencers and travel bloggers who are brought in as special travel guides whom provide a range of tour activities for the cast. Travelpolitans is a crash course in traveling abroad and Travelpolitans isn’t the only reality show educating our behavior. As they do so, they realize that these “moments” offer incredibly potent case studies for what to do and what not to do when traveling abroad. This docuseries is directed by David Rousseau the Miami based director known for “his eye capturing sleek imagery, bright colors and innovative graphics,” thus making him “one of today’s most sought-after directors. His work that he’s directed has been viewed over one billion times online, which amounts to six years of directing work for major labels like Sony and Universal whereby he has directed music videos for “Mr. Worldwide” aka Pitbull, Marc Anthony, Christina Aguilera to Shakira and Enrique Iglesia, Lil Wayne, Nicki Minaj and Ne-Yo just to name a few. He has been nominated five times for an MTV music video award and has directed TV commercials for major brands like Post Cereals, Zumba and television networks such as TNT and ESPN. 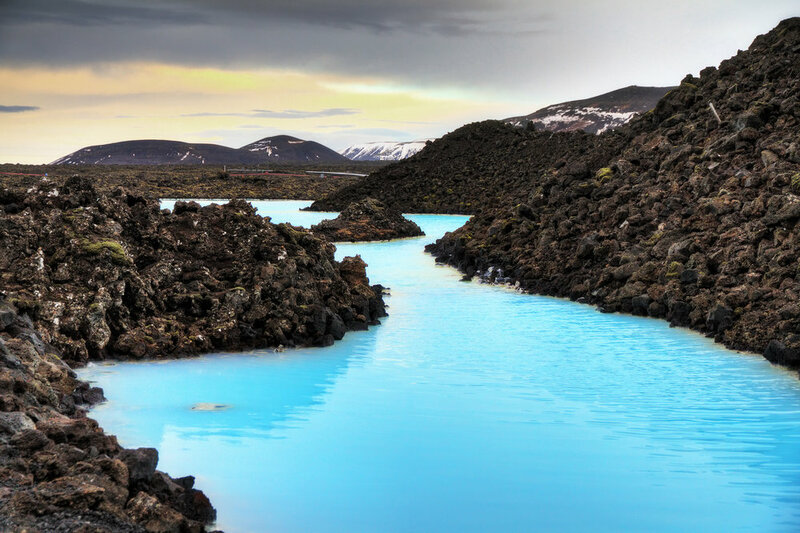 This production is being managed by TrueNorth the Icelandic film and TV production service company. Founded by David Rousseau in 2007, CREATIVESEEN is a Miami-based, full service production company that specializes in music videos for some of the industry’s biggest names like Pitbull, Marc Anthony and Christina Aguilera, as well as corporate commercials, promotional video content for TV networks, and most recently, an original television series for cable network programming. VarGo Media, Inc. is an integrated new media entertainment and technology company, principally engaged in developing, financing, marketing, producing and licensing the sale of lifestyle-orientated content providing primarily travel, home, food, music and other lifestyle-related programming for global audiences. It was founded in 2003 and TrueNorth has line produced feature films for studios such as Warner Bros, Paramount Pictures, Universal Pictures, Twentieth Century Fox, DreamWorks, Columbia (Sony) and Marvel Studios. The company has offered production service in Iceland for Batman Begins, Flags of Our Fathers, Die Another Day, Tomb Raider, Prometheus, Oblivion, Noah, The Secret Life of Walter Mitty, Sens8 and Thor: The Dark World. January 2, 2018, New Haven, CT - We’re heading to NATPE Miami, the leading global marketplace for television and platform executives. NATPE stands for National Association of Television Program Executives and is one of the largest international programming conferences in the world, attracting everyone from acquisition executives looking to buy or invest in new programs to production companies and programming content distributors around the globe to make deals and share the international conversation. Miami sits at the nexus of this market, taking place in January to kick off the year with the biggest deals in content. According to Variety Apple has earmarked $1 billion in spending on original entertainment over the next year and Facebook just may match Apple’s spending, Netflix and Amazon currently spend far more on content — in the neighborhood of $6 billion and $4.5 billion, respectively — as does HBO (around $2 billion annually). “We’ll be meeting friends and associates to sell our television projects -specifically Season One of Travelpolitans which are (10 episodes at 60 minutes per episode) about a travelpreneur who takes a cast of nine strong, interesting and fascinating people to Iceland, Norway, Finland, Denmark and Sweden to dispel the Great American Passport Myth. This series is cinematically shot in beautiful historically epic locations, intertwined with compelling and emotional stories and is directed by David Rousseau and is Co-Produced by True North (Iceland) to be distributed worldwide” says Chairman and CEO Aspen Powers. Vargo Media will be represented at the NATPE 2018 conference in Miami, Florida by Aspen Powers, the CEO of Vargo Media. Mr. Powers says “I’m looking forward to meeting and networking with top programming executives and getting deals done. September 9, 2016, New Haven, Connecticut – Television director David Rousseau of Creative Seen has signed on to direct a new travel television docuseries with a working title of “Travelpolitans.” This travel docuseries chronicles the excursions of an American travel blogger turned travelpreneur (i.e. tour operator) named Aspen Powers. Powers blogs can be read at http://www.aspenpowers.com. Powers takes people with him from America to various parts of the world to dispel the Great American Passport Myth and to have awe inspiring cultural experiences in amazing places. This production is being filmed in New Haven, CT, New York City, in the countries of Iceland, Finland, Norway, Sweden and Denmark. This series is being shot as a straight-to-series production with all 12 episodes of the first season debuting all at once in 2017 with distribution options to be streamed on one of today’s most popular streaming platforms such as HULU, Amazon or Netflix. This is not the first time that you may have heard about David Rousseau, as you may have unknowingly seen a lot of his work. Rousseau is the Miami based director known for “his eye capturing sleek imagery, bright colors and innovative graphics,” thus making him “one of today’s most sought-after directors. His work that he’s directed has been viewed over one billion times online, which amounts to six years of directing work for major labels like Sony and Universal whereby he has directed music videos for “Mr. Worldwide” aka Pitbull, Marc Anthony, Christina Aguilera to Shakira and Enrique Iglesia, Lil Wayne, Nicki Minaj and Ne-Yo just to name a few. He has been nominated five times for an MTV music video award and has directed TV commercials for major brands like Post Cereals, Zumba and television networks such as TNT and ESPN. Currently Rousseau is filming a television series for the travel/food Network with Emeril Lagasse. However, he is excited to keep working in the mode he has developed throughout his career. For all media inquiries, product placement, endorsements or sponsorship request place contact Frank Dembitz at (203) 424-0695 or via email at frank@travelpolitans.com. 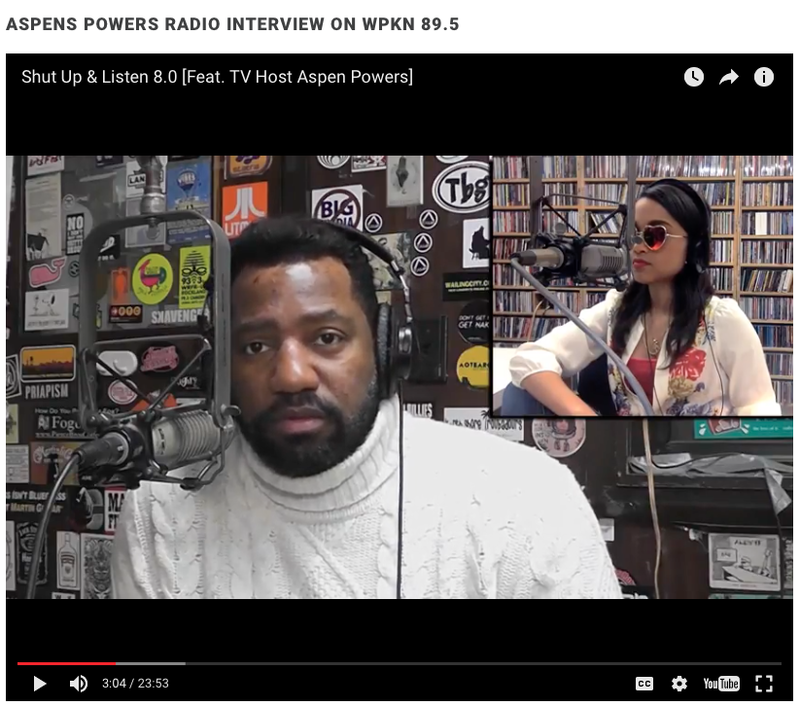 February 13, 2016, Bridgeport, CT - Executive Producer and TV Host Aspen Powers stopped by the Mystery Girl Radio show Saturday afternoon to promote and chat with her about his new upcoming traveling television series titled "Aspen Powers With Travelpolitans. The definition of Travelpolitans is a group of people who travel often and are familiar with and at ease in many different countries and cultures. Aspen Powers is bringing together a cast of seven people to travel, live, work and play abroad in Iceland, Sweden, Denmark, Finland, and Norway in search of new foods, meet interesting and influential people, welcome different cultures and to have awe-inspiring experiences. VarGo Productions is currently in pre-production and will soon be casting, then film a straight-to-series docusoap, which has distribution opportunities to air on Netflix or HULU or Amazon.